Many people have a vague idea that the battle for American independence from Great Britain began with the Declaration of Independence on July 4, 1776. But the battle really began much earlier—almost a decade earlier, when American colonists first began protesting “taxation without representation” in the British Parliament. Unrest turned to violence in 1770, when a crowd of angry Boston colonists surrounded a group of British soldiers, who fired into the crowd and killed three people in what became known as the Boston Massacre. In 1773 came the Boston Tea Party, during which saboteurs dressed as Mohawks dumped over 300 chests of British tea into Boston Harbor. Punishment was swift: the British government closed Boston Harbor and passed the “Intolerable Acts,” which, among other things, stripped the Massachusetts Bay Colony of its right to self-government. The battle wasn’t just waged in the streets or in the harbor. A bitter war of words erupted among the intellectual elite of the colonies, who were split in their opinions of Parliament’s actions. Among the combatants was a feisty Boston lawyer named John Adams (1735-1826), a future Founding Father and President of the United States. Adams, ironically, represented several of the British soldiers involved in the Boston Massacre, and his strong self-defense arguments resulted in acquittals. But Adams was no less of a patriot for that. He simply understood how important it was for the American cause to ensure that the soldiers had a fair trial. A few years later, as American-British relations deteriorated, Adams employed his brilliant legal skills to respond to a series of pro-British letters, by someone calling himself “Massachusettensis,” published in a Loyalist Boston newspaper beginning in December 1774. Writing as “Novanglus,” Adams set forth his argument that the colonies were not answerable to the British Parliament. In 1819, these letters were collected in a volume entitled Novanglus, and Massachusettensis; or Political Essays, Published in the Years 1774 and 1775, on the Principal Points of Controversy, between Great Britain and Her Colonies. The edition that DP volunteers used to prepare the Project Gutenberg e-book was the presentation copy to John Adams from the printers. In 1775—more than a year before the Declaration of Independence—Adams was not yet arguing for independence from Britain; he expressly disclaimed such a treasonous view. Instead, he stuck to the more subtle argument that the colonies might be subject to the will of the Crown, but they were not subject to Parliament, because they were self-governing. He argued extensively from British statutes and cases involving the similar status of Ireland and Wales. Adams’s arguments were brilliant, but his opponent “Massachusettensis” was every bit a match for him, arguing his Loyalist views with equal vigor and skill. Indeed, because “Massachusettensis” was the better writer, his arguments can seem more compelling than Adams’s “huge pile of learning,” as “Massachusettensis” sneeringly called Adams’s scholarly legal citations. The exchange between “Novanglus” and “Massachusettensis” came to an abrupt halt in April, 1775, with the Battles of Lexington and Concord. The revolution had begun, and there was no going back. The 1819 edition of Novanglus, and Massachusettensis also features letters that Adams wrote to various friends and colleagues later in life, recounting the events leading up to the American Revolution. 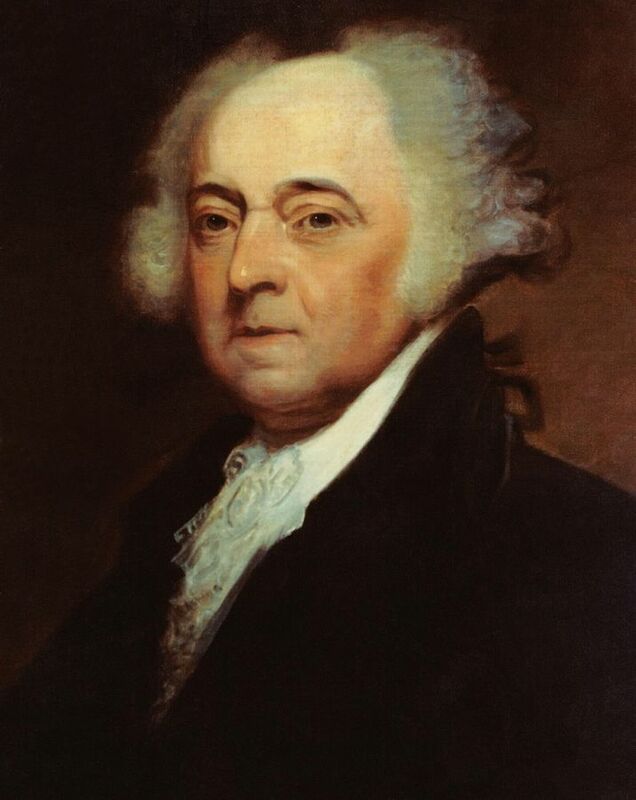 John Adams died on July 4, 1826, at the age of 90. His last words were said to be, “Thomas Jefferson survives”—but the author of the Declaration of Independence had also passed away that very day. Today, July 4, 2014, is the 238th anniversary of American independence. This entry was posted on Friday, July 4th, 2014 at 12:01 am and is filed under Book Review, Project Gutenberg, Special Day. You can follow any responses to this entry through the RSS 2.0 feed. You can leave a response, or trackback from your own site. Thanks for a great post! I’ve forwarded the link to my husband, who has told us the story about Jefferson and Adams dying on the same day lots of times. Jefferson actually died earlier in the day than Adams did. Oddly, my husband has not heard about Novanglus and Massachusettensis, despite his wide readings about the Founding Fathers. P.S. I just talked to my husband about the book, and he says that it wasn’t just any 4th of July on which Thomas Jefferson and John Adams died. It was the 50th anniversary of the Declaration of Independence.